A restorative after sun oil. 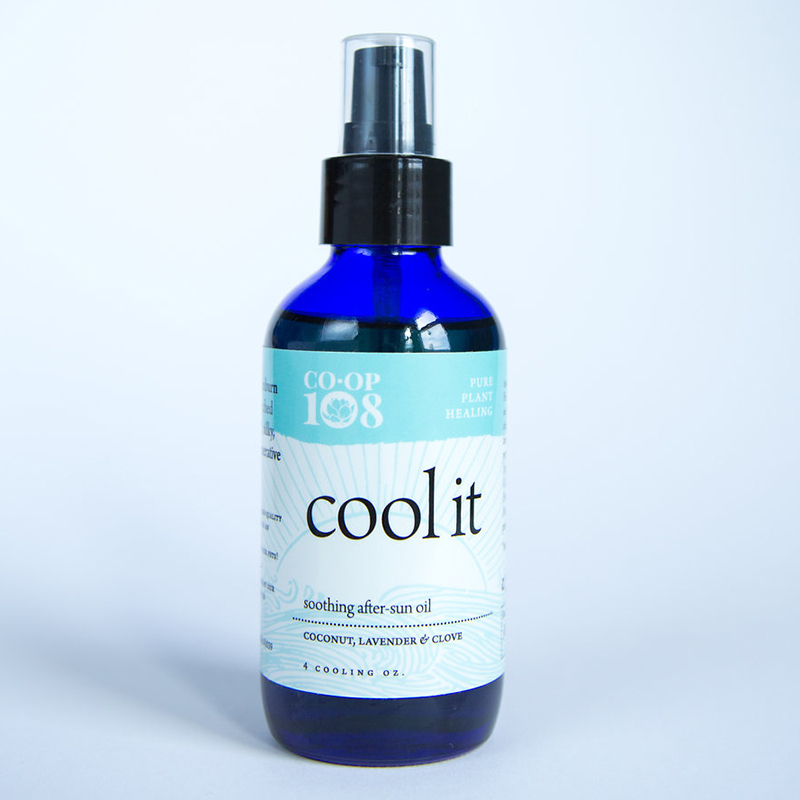 Instantly soothe sunburn and moisturize parched skin with this light, silky, and intensely regenerative body oil. Contains: Fractionated coconut oil (Cocos nucifera); *sunflower oil (Helianthus annus); *jojoba oil (Simmondsia chinensis); vitamin E (alpha-tocopherol); essential oils of lavender (Lavendula officinalis), peppermint (Mentha piperita), clove (Syzygium aromaticum), camphor (Cinnamomum camphora) & oakmoss (Evernia prunastri); rosemary oil extract (a natural preservative).